One of our newest franchisees, Nathan and Jodie Busch have hit the ground running and are very enthusiastic supporters of their local community in Rockhampton. Nathan regularly supplies mobile ATMs to Emu Park Markets and Figtree Markets in Yeppoon. Nathan and Jodie are also the people to speak to about organising a fixed ATM for your business! 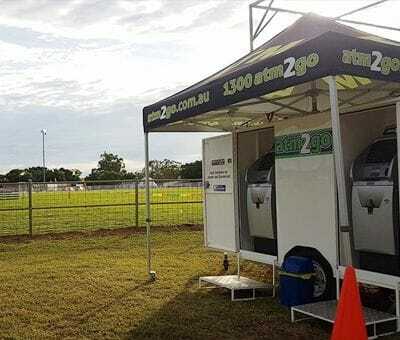 "Thank you to atm2go for supplying the club with an ATM at our home game today. The players and supporters were rapt. Great service, thanks! " - Jess Flynn, Capricorn Coast Crocs Rugby Club.